The oldest blend yet released by Chivas Regal – a 50-year-old expression created to mark the anniversary of Manchester United’s 1968 European Cup triumph – has raised £21,780 for charity at auction. 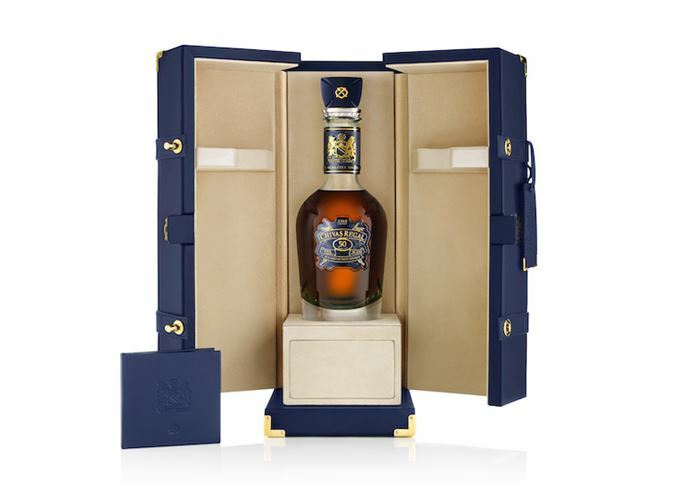 The bottle of Chivas The Icon 50th Anniversary Limited Edition, one of only four made by Chivas director of blending Sandy Hyslop, was sold by Sotheby’s in London via an online auction that closed on Friday night (30 November). As part of Chivas’ new partnership with Manchester United FC, the proceeds will go to the Manchester United Foundation, which aims to use football to help and inspire young people across the Greater Manchester area. The four bottles of Chivas The Icon are designed to mark the four goals scored by Manchester United against Benfica at Wembley in the 1968 European Cup final, when the club became the first English team to win the trophy. Of the other three bottles in the series, one is being given to a fan who has supported the club through thick and thin, via a social media competition; another is on display at the Manchester United Museum and will be offered for private sale at an end-of-season event; and the fourth bottle will be put on display at Chivas’ spiritual home, the Strathisla distillery on Speyside. Rarity has many facets, writes Dave Broom, including the decision to share the rare.